We are so excited to introduce our new site “Canadian Mountain Chic“! It’s Canada’s newest wedding and lifestyle blog featuring beautiful Canadian mountain weddings from all across our beautiful country and all things mountain! We have a directory featuring amazing wedding professionals and we’ll be featuring many of them in our “Fireside Chat” column (you can check out our very first Fireside Chat with Tara Whittaker Photography here). You’ll find loads of inspiration for planning your mountain wedding! But don’t worry, we’re not going anywhere! Naturally Chic will still be planning and designing our signature mountain weddings (many of which will be featured on Canadian Mountain Chic)! Photo Credits from left to right: f8 Photography Inc, Naturally Chic, TLAW Photography. 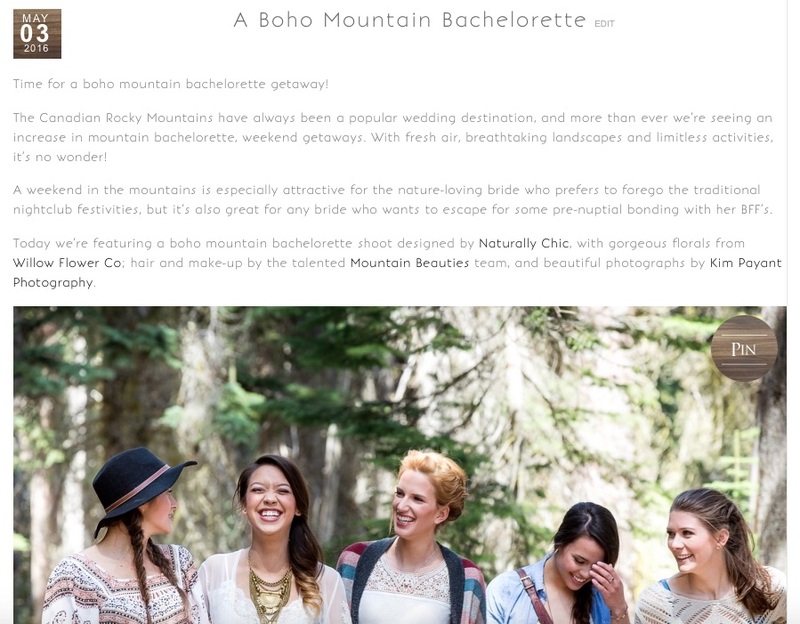 Get in touch with Naturally Chic at 1.888.679.9056 or at hello@naturallychic.ca to plan your mountain wedding! We’ve been incredibly busy the last few weeks preparing for two upcoming winter weddings. It looks like the busyness will continue for a few more weeks, but I am working on getting a few blog posts up! In the meantime, here is a preview of the next wedding we will be posting, a Canmore Wedding at the Silvertip Resort. I used snapshots we took on wedding day of the ceremony at the Silvertip Gazebo and uploaded to one of my favorite apps “Waterlogue“. We worked with a fantastic couple, Jena and Gordon, on their Canmore wedding at the beautiful Silvertip Resort, and we made this unique backdrop for behind their head table. I am looking forward to sharing! For more information on our planning and design services, contact us at www.naturallychic.ca or email us at hello@naturallychic.ca /call us at 1.888.679.9056.